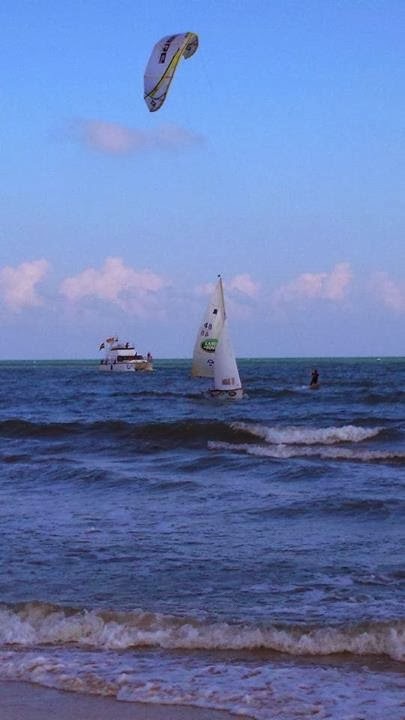 They are sailing around Sri Lanka and made a stop at Kalpitiya! sailors had to say. “As mentioned by Rob, with the sweet taste of Mars Bars in the mouth at 6:30 in the morning ,we came to the beach & started sailing off at 7:10. To try & get to Kalpitiya 11nm away before the high winds & rough seas predicted for the afternoon. We sailed on a wind shift between NE & NW and came into Kalpitiya in about 10kts of wind & an increase in the sea chop. From out at sea we reached into shore towards our new navigational device which is the sun reflecting off the iPad screen. 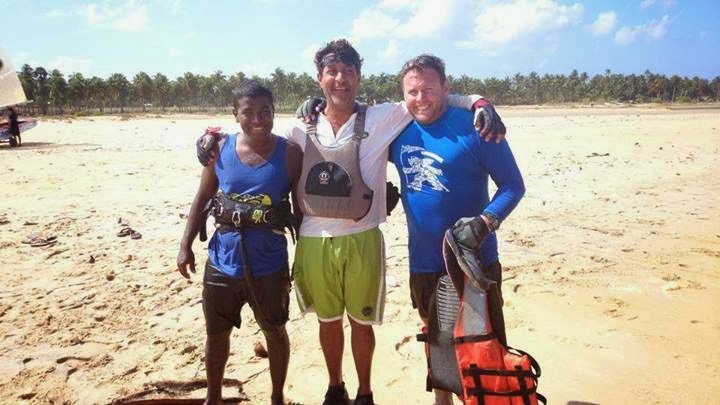 No need to switch it on and load the ‘app for that.’ We had a welcome greeting from our friend Dilsiri of Kitesurfing Lanka who came along flying with his kite out to meet us.